At Glengarry we have the largest, most wide-ranging selection of champagnes in the country, so if you're looking for the ultimate in romantic elixirs, you've landed in the right place. From Grandes Marques such as Pol Roger, Veuve Clicquot, Moet & Chandon, Drappier and Piper Heidsieck, to prestige cuvees like the rarefied Salon and the Cuvee Sir Winston Churchill, to our new and exciting Grower champagnes, they're all here, they're all fresh and they're competitively priced. Is that a mouse click we hear? Or the faint echo of a cork popping? Hitherto an unknown quantity in New Zealand, Grower champagnes have always been produced in Champagne itself, with many of the labels we import producing it now for generations. If it is individuality and character youre after, they are well worth a look. As smaller-scale grape growers and winemakers, these producers lack the gargantuan resources of the big players, and thus their wines are much more reliant on the distinctive and individual characters to be found within particular vintages and locations, with many saying they are all the better for it. 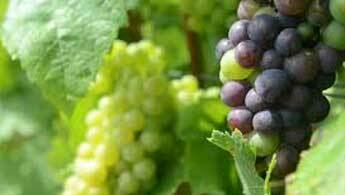 Varietal characteristics: Wide ranging dependent on wine style.